Torridge House is a comfortable Georgian house offering high quality bed and breakfast. Situated in a quiet street in the heart of the village, it is only a moment’s walk from The Quay and the water. It is stylish and unfussy, and full of character. Torridge House has a friendly relaxed atmosphere where I hope you will feel perfectly at home. My aim at Torridge House is to provide superior, comfortable accommodation in a unique and interesting setting. It is light and airy in summer with a wood burning stove in the conservatory and guest lounge in the winter. For those staying here for more than a brief night it is hoped you will make use of the comfy sofas in the sitting room, the huge collection of dvds, or have a picnic in the lovely garden and enjoy the varied wild life. We have bats, woodpeckers, gold finches and plenty of sparrows as well as newts and dragonflies in the ponds. I serve delicious breakfasts using the best quality ingredients; homemade bread, preserves and fresh eggs from my own free range chickens, and local or fair trade and humanely produced food. Children and dogs are always welcome. I hope to make your stay here special and memorable. 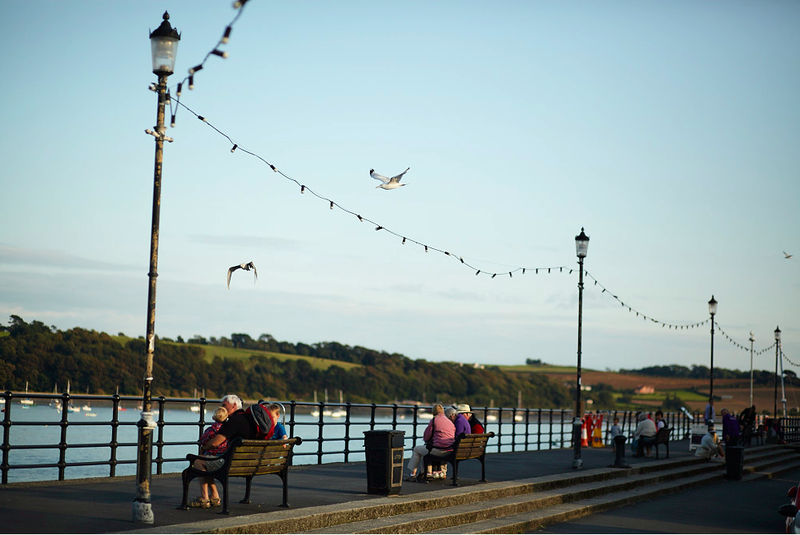 Appledore is an intriguing seaside village with many narrow pedestrian streets and alleys to explore. There are a number of unusual galleries and craft shops and a number of local artists selling their own work. There are several pubs serving good food and there is generally at least one pub in the village with live music any night of the week. There are two fantastic restaurants specialising in seafood and two excellent fish and chip shops. Appledore is within walking distance of one of North Devon’s best sandy beaches at Westward Ho! and Northam Burrows, an Area of Outstanding National Beauty, and the home of the famous Royal North Devon Golf Club. Torridge House is ideally situated for walking the South West Coast Path with easy access to the rugged North Devon coast. About 2 miles away is the Tarka Trail cycle route where you can hire bicycles. Or bring your own bike and leave it safely in the yard at the back of the house. RHS Rosemoor and many other famous gardens are nearby. King size four poster with ensuite shower room. Twin with large ensuite bathroom and views across the rooftops of Appledore.